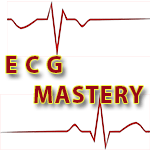 Want even more ECG training? How about a great primer on 12 lead ECG’s? You claim this 12 lead resource for free. Just fill in the form below and I will send it on over. Lastly – if you have not done so. Be sure and check out the Resuscitationist for more EMS videos and training help.